Google has just shown off the future of Android at its Google I/O developers event, and it’s bigger and more ambitious than anyone could have guessed. The rumoured launch of Google Music was announced as well as Google Movies, but these were just setting the scene. In what must be the most disruptive change to what we think of as a mobile device since the iPhone, Google has shown off a whole new vision of what the mobile phone is and how it can control and interact with the world around us. In this first post, I’ll outline the major new releases of Android and some nifty new Android apps that Google has been showing off today. 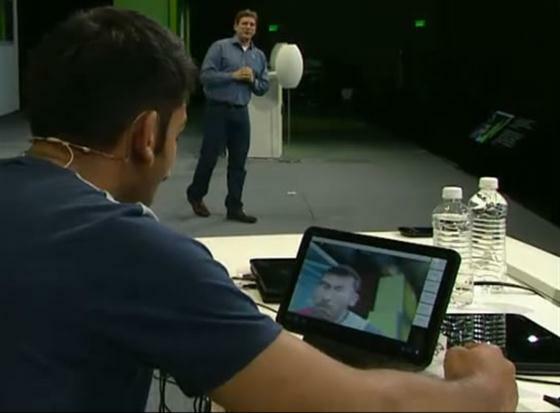 In the second post on Google’s IO announcement, I’ll show you what Google has in store for the future of Android. Intrigued? Prepare to be enthralled! Given that the first Android device only launched at the end of 2008, these are stunning figures, and a real testament to the popularity and success of the Android platform. OK, that’s all well and good, but what new shiny things did Google show off? Eight releases of Android have shipped so far, and another one has just swelled that number to nine: Android Honeycomb 3.1 has just been launched and is available for Motorola Xoom users ion Verizon, with a full roll-out for other tablets and carriers coming soon. Honeycomb 3.1 refines 3.0, adding a few new user interface tweaks and one very important new feature. The new UI tweaks include a new task switched, refined multi-tasking that will close and open apps on the fly if memory is running short, so you need never worry how many apps you have open at once (and correspondingly, never run out of memory again), and new widgets that you can expand horizontally and verticall if you need more space. More importantly, though, Google has given Honeycomb 3.1 full USB support, meaning Android devices can act as USB hosts and do nifty things such as import photos directly from a digital camera. Better still, keyboards, mice, trackpads – even XBox game controllers – any USB input device can now work with an Android tablet. 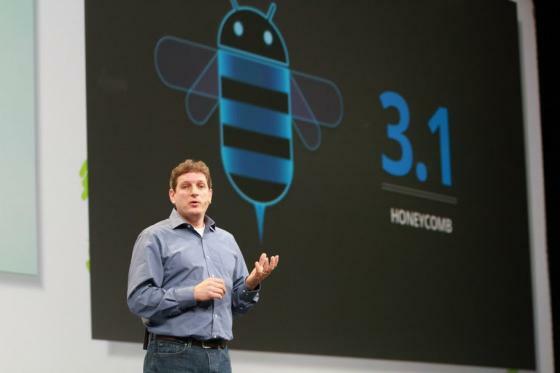 Honeycomb wasn’t the only version of Android to be shown off today – Android 4.0, called Ice Cream Sandwich, was also given its first unveiling. Aimed at a Q4 launch, Ice Cream Sandwich is a new version of Android that’s been designed for both tablets and phones. Google wants a single Android OS across devices, and Ice Cream Sandwich is that OS. As such, it’ll feature the 3D holographic user interface of Honeycomb, and so the look and feel of Honeycomb will be available everywhere, from tablets to phones to any othre Android device you can think of. 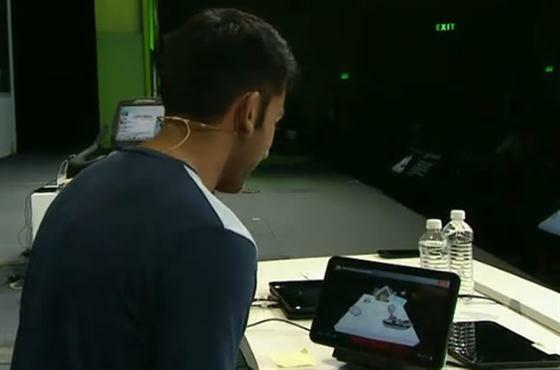 One cool addition of Ice Cream Sandwich is a new head recognition API. Usign it, your phone or tablet can look at the input from the device’s front facing camera to see where your head is and where you’re looking. The device will then adjust the display in repsonse to your head movements, leading to some seriously cool applications. another app that let the user add effects to their nose, mouth and eyes in real-time. Because Ice Cream Sandwich can distinguish between your nose, eyes and mouth and knows where they are at all times, you can simply stare at the camera and click a button saying “enlarge eyes” and the rendering of your eyes on the device’s screen will instantly be increased – all in real time. This isn’t a static facial manipulation of your face, like FatBooth – this is dynamic, altering the moving image of your face in real time, without having to tell the app where your facial features are. an enhanced video chat feature that zooms into your head when you start talking, and moves the Web cam to another head if someone else enters the Web cam’s field of view. This feature alone opens up so many new opportunities for interacting with apps and objects, it makes the concept of touch seem completely outdated. Ice Cream Sandwich will also feature a new advanced app framework with new APIs that hide the differences between platforms so app developers don’t need to worry what device will be running their app. New comopnents and widgets will resize themselves according to the physical space the device has without the developer having to worry about this, and new tools will be released tomorrow to let the app developer create apps far more easily than before. Better still, all of this will be open source, proving that Google is sticking to its open philosophy. 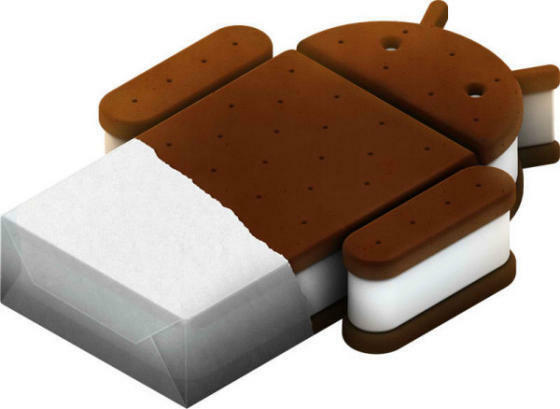 Ice Cream Sandwich will be Google’s most ambitious version of Android to date, so what’s been shown off today is just the tip of the icecreamberg! In addition to the new versions of Android, Google also announced a new partnership with most of the big Android players that compels them to bring the latest Android versions to their devices and to keep on bringing the latest versions for at least 18 months after the devices first go on sale. Each of these maufacturers and carriers will now guarantee that the devices they support and carry will get updates to the latest version of Android for at least 18 months after the device is released, ensuring that every new Android device will stay fully up to date. That should certainly be welcome news to Sony Ericsson fans, whose phones have been lagging behind version updates in the past. More exciting still than the Android OS news is a raft of new services focusing on media. Google TV, which many feel has underperformed from its initial promise, gets a new overhaul. Firstly, the Google TV platform – including existing Google TV devices – will be getting Honeycomb 3.1, and so will look a lot more sleek than it currently does. As Honeycomb 3.1 supports USB, this should also mean that a range of new input devices can also be used, giving you far more options for controlling your Google Telly. Google TV will also be getting the Android market at long last, so apps written for Android can also be installed on your TV. Finally, the platform also gets some new hardware partners, with Sony, Vizio, Logitech, and more importantly Samsung, all bringing out new Google TV products throughout the year. Samsung, in particular, is a bit of a coup for Google, as it should add extra weight to the struggling platform. 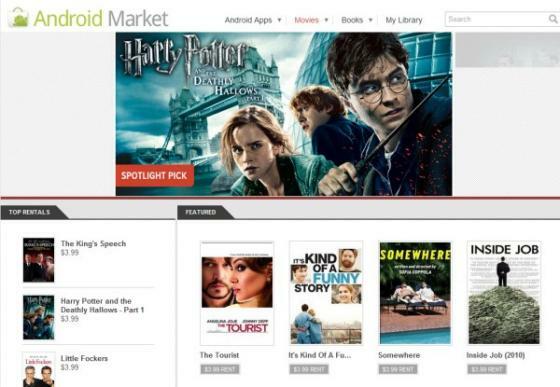 As if Google TV wasn’t enough, Google also announced a new Movies service. Just as Google’s Books service lets you buy a book and tie it to your Google account, so you can read it on any Android device you own, so Google’s new Movies service will let you do the same with Movies. You can simply rent movies from the Android market and stream them to any Android device you own, or even your PC, wherever you happen to be. Movies have a 30 day rental period, and once you start watching a movie, you have 24 hours to watch it. You can start watching it on your PC, then pause it and watch it on your tablet, before switching over to your phone or even Google TV. You can even cache your movie onto your tablet for watching it offline if you want to take it onto a plane with you,for example. To enable this, there’s a new Movies app for tablets and phones, both of which show the exact same movies you’ve rented from the app store. You can rent anywhere and watch everywhere. The one new app that everyone knew for sure that Google would be unveiling was Google Music – or, as Google has decided to call it, Music Beta by Google. But Google didn’t just unveil a cloud-based music service – they unveiled a complete new ecosystem for your tunes complete with Android apps, Windows and Mac apps, and even a complete Sonos-like music device the rips your CD’s tracks just by touching the CD to the device! More on that in a minute though. 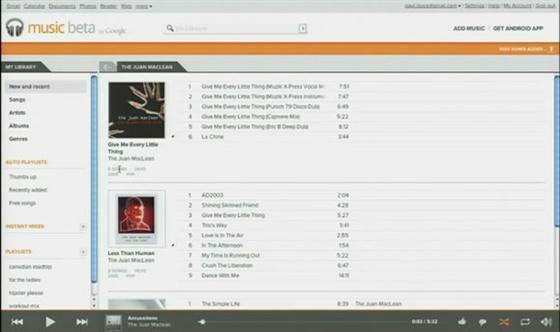 First, Google’s Music Beta. It’s a cloud-based music service that lets you upload all your tunes to the cloud and then play them wherever you happen to be. It works using the sam principle as Google Movies – the tunes you upload are registered to you, not a device, so you can play them wherever you happen to be logged in. 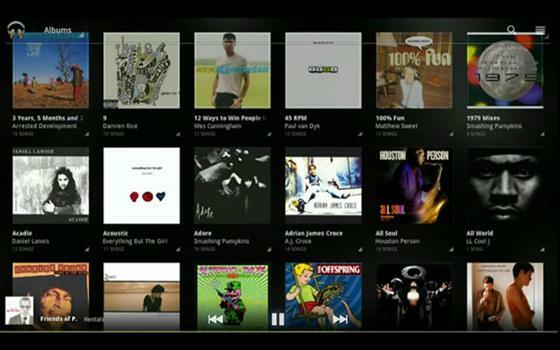 Your music is then stored on the cloud and streamed to whichever device you want to listen to them on. If you don’t have connectivity, you can also cache your tunes for listening offline. To help manage your tunes, Google has released Music Manager for the PC and Mac, which lets you manage your playlists, displays your album art, and even lets you import playlists from iTunes and Windows Media Player. Once imported, you can see your playlists and tunes through the Music Manager app, on the Web (music.google.com) or via your Android phone or tablet. Wherever you create a playlist, it’s instantly available on any device, wherever you are. There’s a 3D carousel feature on the latest Music app for Honeycomb tablets, which lets you scroll through your tunes, and a nifty InstantMix feature, which automatically creates playlists for you. Just seed it with an album or song and it’ll pull together a playlist of similar tunes for you. Music Beta by Google is launching today in the US only (and it’s invite only at the moment, annoyingly), and will let you add 20,000 songs to your library. The demos looked great, and if Google is able to sort out the annoyingly obligatory licensing deals with the major music labels, this will be the last missing piece in the Android jigsaw puzzle, and a fine alternative to iTunes. These are just the key announcements that Google made today regarding Android. They look good. Very good, in fact, taking Android to a whole new level of refinement. But it doesn’t end there. Google followed this up with the future of Android and some new technology it’s working on that will radically change the abilities of your mobile device in ways you never dreamed possible. But that’s for another post!